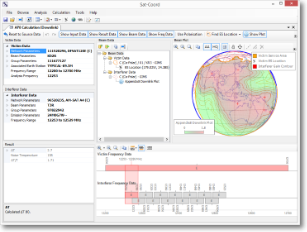 Perform C/I analysis on either user-defined data or on data imported from ITU SNS database files. View graphical plots showing how the calculated value varies over the relevant service area or the visible Earth. Perform Appendix 8 analysis on either user-defined data or on data imported from ITU SNS database files. 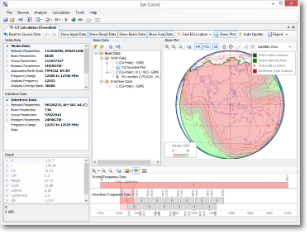 Supports calculation of ΔT/T for uplink, downlink, bidirectional cases as well as strapped overall cases. 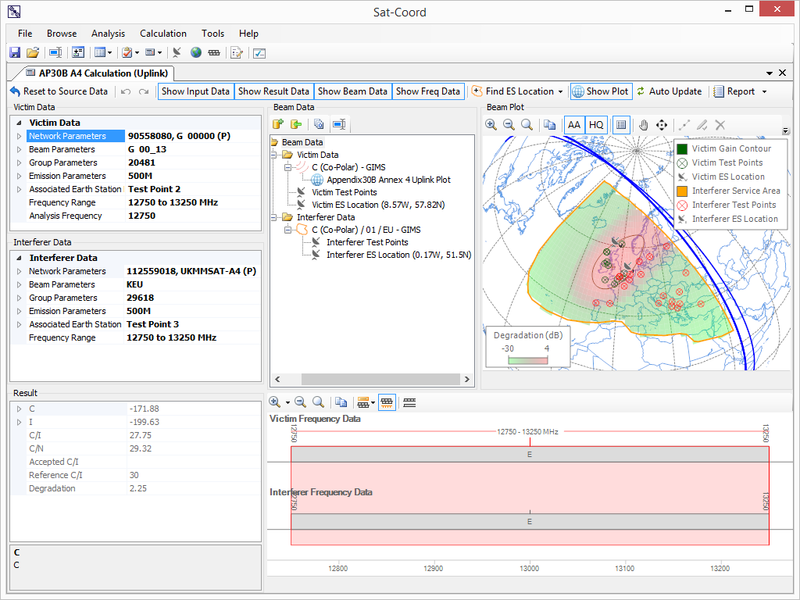 View graphical plots showing how the ΔT/T value varies over the relevant service area or the visible Earth, or see areas that pass or fail a user-defined criteria for ΔT/T. Perform Appendix 30 Annex 4 C/I analysis on either user-defined data or on data imported from ITU SNS database files. 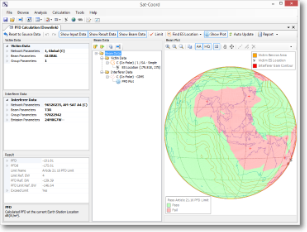 Supports calculation in the uplink, downlink and overall cases taking into account the current reference situation. 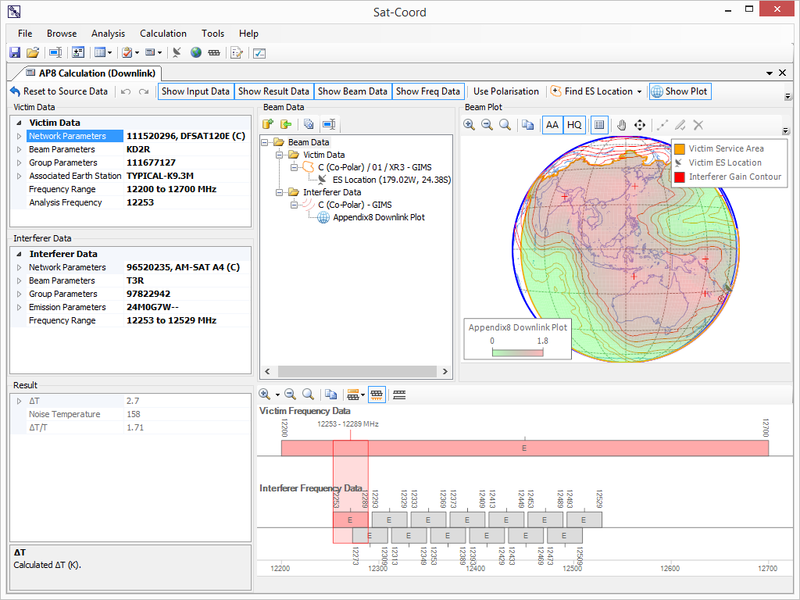 View graphical plots showing how the Degradation or C/I value varies over the relevant service area or the visible Earth, or see areas that pass or fail the Appendix 30B Annex 4 criteria. 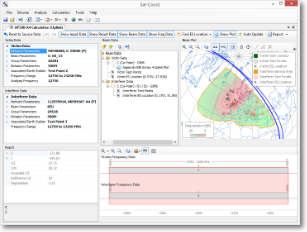 Perform Downlink PFD analysis on either user-defined data or on data imported from ITU SNS database files. Contains built in Appendix 30 Annex 1, Appendix 30 Annex 4, Resolution 553, Resolution 554 and Article 21 limits. 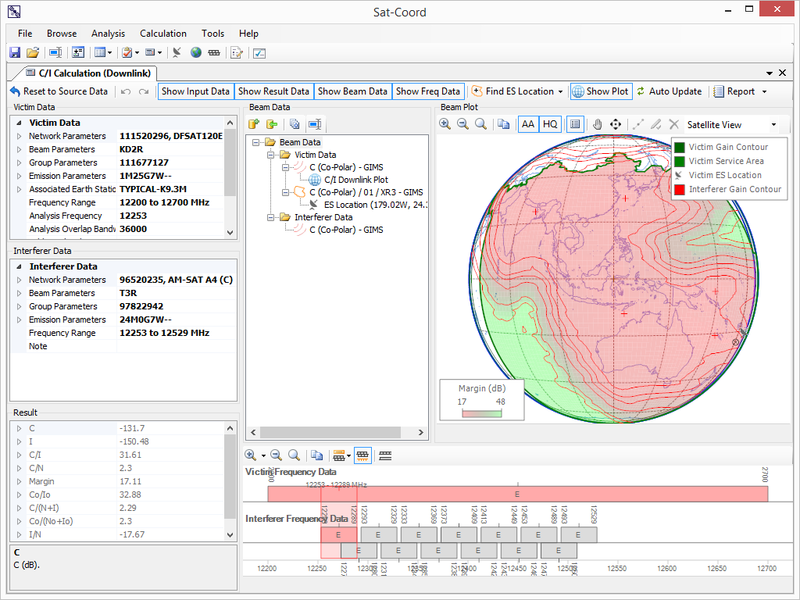 View graphical plots showing how the PFD value varies over the relevant service area or the visible Earth, or see areas that pass or fail the defined limit.